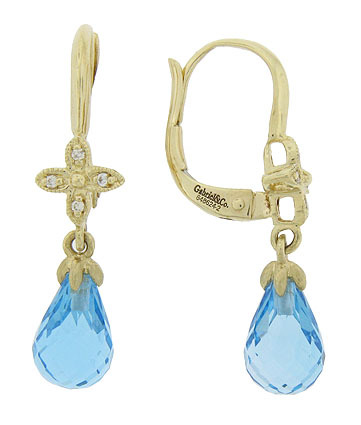 Sparkling blue faceted teardrop shaped blue topaz dangle from these 14K yellow gold antique style earrings. 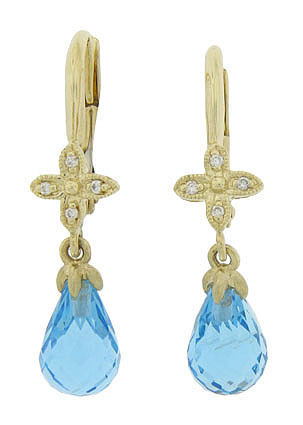 The captivating stones drape from delicate diamond set flowers. The earrings are finished with European backs and measure 3/4" long, 1/4" wide.